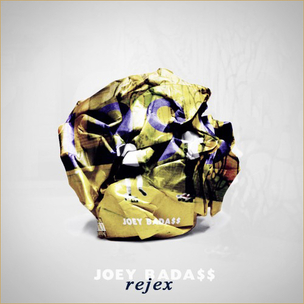 Joey Bada$$’ name has been echoing through the streets in 2012. While he and the Pro Era crew are making their moves, Joey dropped the 1999 mixtape to add some fuel to that fire. Now, he’s coming back again with a 1999 rejex mixtape. The mix is a compilation of the songs that didn’t make the 1999 cut the first time around. No date on that yet, but the cover art is above. T-Pain is back, and on September 30th he’ll be dropping his mixtape Stoic. A few weeks later we get a date on that Gucci Mane Trap God mixtape of October 17th. YMCMB fans, Jae Millz is coming. He’s prepping Dead Presidents 2, but that’s just listed as coming soon. Keep checking the dates.